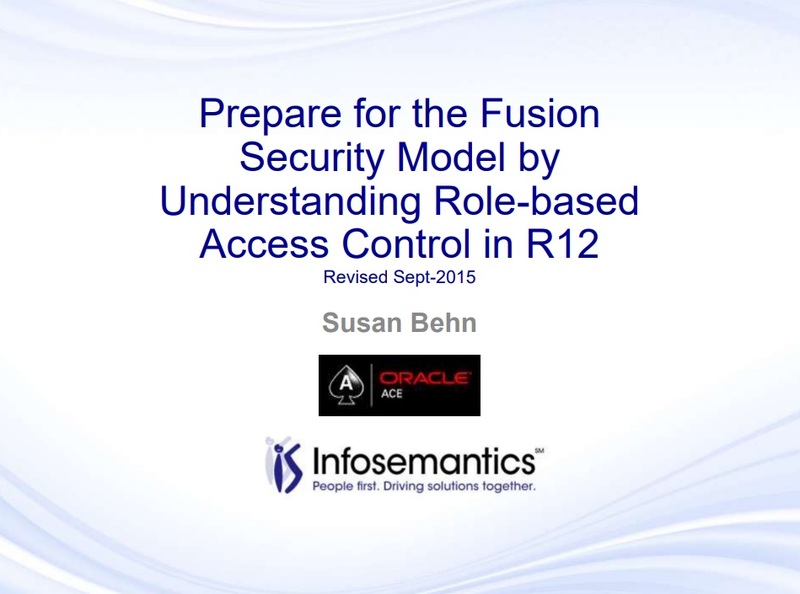 Posted at 14:33h in by	Infosemantics Inc.
EBS vs Fusion Security Model? The strength of Infosemantics lies in our people – a talented and experienced team of consultants who quickly become an integral part of our customer’s teams, providing advocacy and engineering streamlined solutions. © 2018 Infosemantics. All Rights Reserved.